Do you ever miss someone or something so much that it hurts? A person? A feeling? A memory? Maybe updates on our Brand Monitoring? Great news! We’re all set to lend you a hand with the latter – our incredible tool created to help you keep an eye on your brand mentions has recently acquired a new and very useful feature. Let’s get to it. 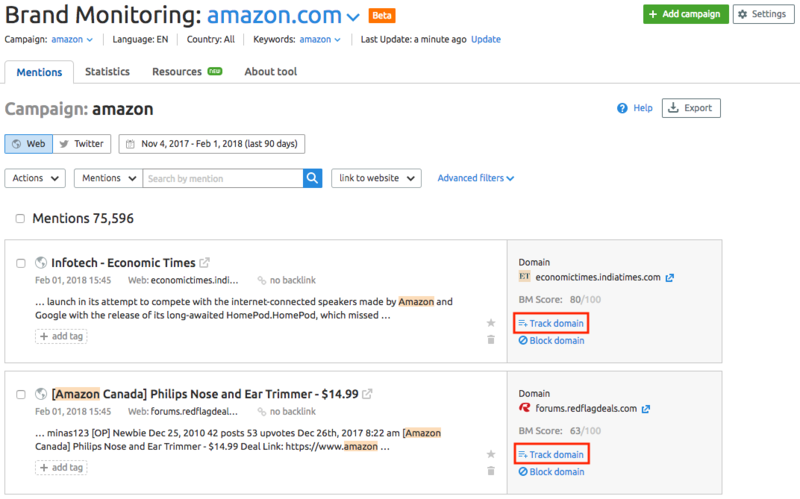 The new feature allows you to track mentions on any desired domain you need. This will be extremely helpful if, say, you need to check how your brand (or any keyword) behaves on an industry-specialized site or a local news portal. Add your domain in the Resources tab. You can also add a domain to be tracked from the Mentions list using the “Track domain” button. This feature is another handy element for controlling your brand’s behavior within a particular niche, which is a must for PR and marketing specialists. We hope you like it. More updates are ahead. 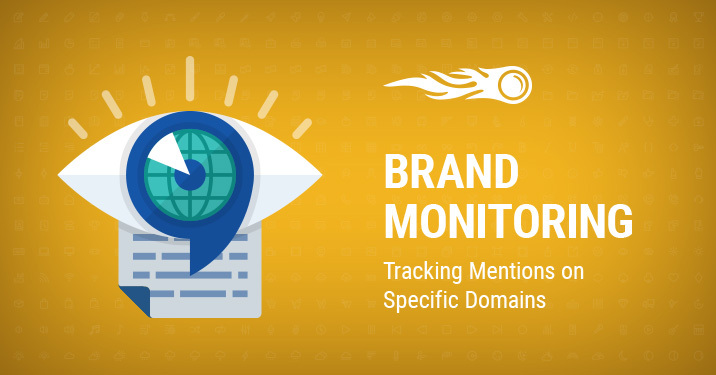 Still haven't set up the Brand Monitoring tool? Give it a go right now! Also don’t forget to share your ideas, comments and suggestions by emailing us at [email protected].